Lebron “King” James’ game-winning, buzzer-beater translates into a series-tying winner for the Cleveland Cavaliers. The 86-84 road win over the Chicago Bulls ties the Cavs in the Eastern Conference Semifinal at 2-2. Buzzer-beaters are in style in this year’s NBA playoffs. This was the third game-winning, last-second goal in three consecutive games. Derrick Rose, of the Bulls, made a 3-pointer in the Cavs-Bulls last outing on Friday for the win. On Saturday, Paul Pierce, of the Washington Wizards, banked one in from 21 feet for the win over the Atlanta Hawks. Last night, it was up to the King to perform a miracle for the Cavs with 1.5 seconds left in the game. This would be James’ third playoff buzzer-beater of his career, tying him with another miraculous athlete who ironically donned a Bulls uniform during his tenure – Michael Jordan. James has seven total last-second goals over his colorful career including regular season games. 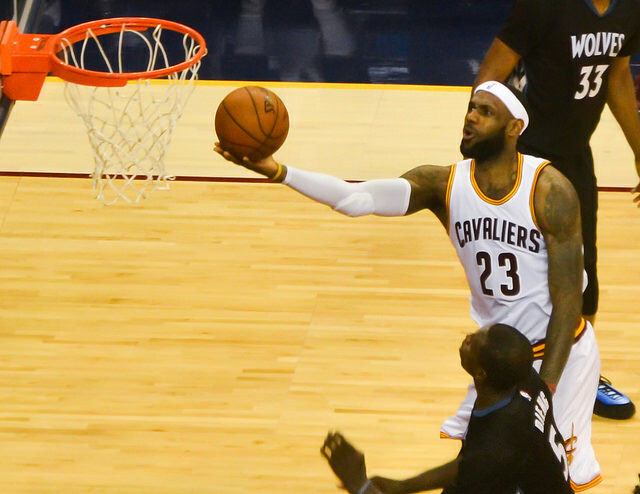 The Cavaliers struggled throughout the game with injured players and rough play. They are already missing star, Kevin Love, with shoulder surgery that has him out for the season. Iman Shumpert and J.R. Smith are beaten up and providing very little support. Kyrie Irving is hobbled with leg injuries. Even James himself is struggling with a sprained left ankle. Were it not for the Bulls and their own sloppy offense, the Cavaliers might have beaten themselves. 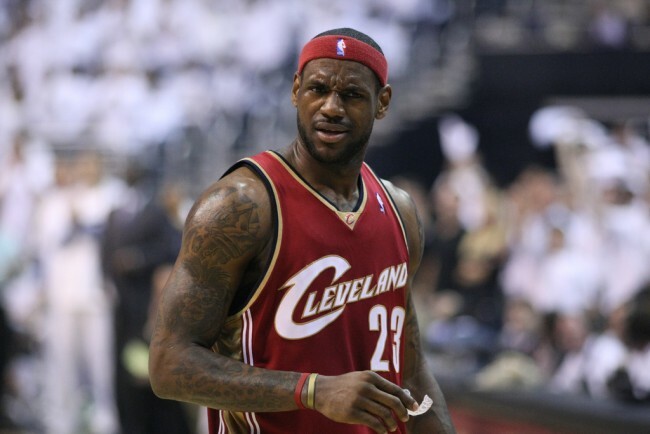 James is shooting a lame 38 percent for the playoff series and has had 23 turnovers in four games. The Cavs have spent most of the series playing catch-up and as the series returns to Cleveland, they hope to gather momentum. Nothing builds momentum like the buzzer-beater that King James translated into a win. With the win against the Bulls, James has won a playoff game on the road in 20 consecutive playoff outings. Michael Jordan has the record at 24 consecutive playoff series but the King is in the hunt. He is now 15 for 17 in his last series of playoffs. Fortunately for the King, the heroic 20-foot jumper from the side overshadowed his fourth personal foul, 14 seconds before, as he tried to push through a double-team at mid-court. This foul set the stage for a Charlie Rose drive that tied the score at 82-82. Rose finished with an impressive 31 points after another 30-point game in the previous outing against the Cavs that featured his own buzzer-beater. J.R. Smith had really kept the game alive for the Cavs with 11 points in the fourth quarter. Smith went 4 for 4 in the final period of the game to keep the Cavs in play. However, it is James’ strong performance that continues to buoy the Cavs in their walk across the waters of the 2015 NBA Playoffs. James marks his 34th playoff game with at least 25 points, 10 rebounds and five assists. This is a record in NBA playoff history. As he netted a breathtaking buzzer-beater to win game four of the series, King James, four-time NBA MVP, continued to translate victories for the Cleveland Cavaliers post season.